For over 50 years Twin City Garage Door has been meeting the garage door needs of homeowners and business owners in the metro area. Recently we identified a need to help our customers by providing more specialty garage doors to meet those specialty needs. Not all applications can be met by your typical garage door, that is where we come in to offer a solution specific to the need of our customer. We live in different times today; we like to think outside the box and don’t accept status quo. More and more often we are being asked to provide solutions that are not necessarily the conventional “garage door”. 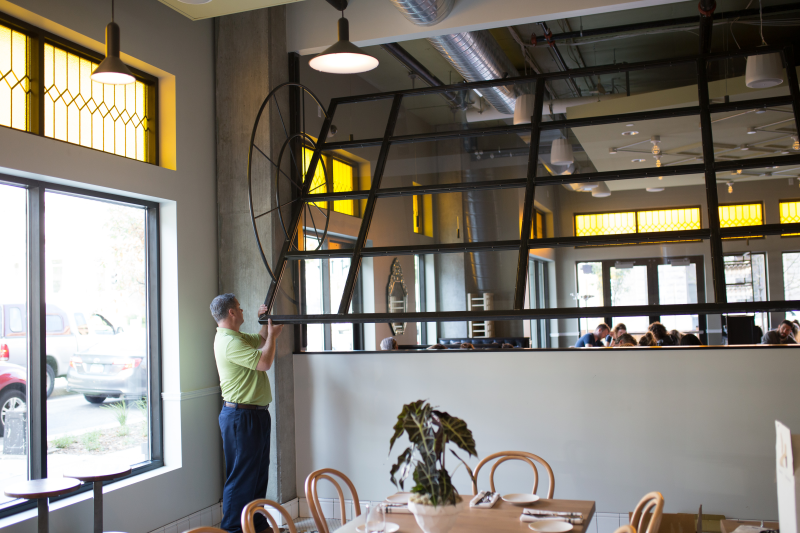 Not being one to shy away from a challenge our lead project manager, Dave Saffrin has taken many of these requests and turned them in to reality at the delight of architects, general contractors and end users alike. With his background in installation and a big imagination Mr. Saffrin is able to translate their ideas in to functional solutions. The photos show only a few of the more recent accomplishments. While we cannot guarantee a solution for every application we have become the “go to” company to at least discuss options for some of these tricky openings. We work with you every step of the way from concept, to design, to working with you on your budget and completing it with an installation that is fully coordinated to make sure the finished product is exactly as envisioned. It is our goal to help you turn your design concepts in to functional solutions! Understanding commercial garage door opener safety laws. Most people know that at your home you must have photo eyes to meet safety requirements. As a matter of fact, they have been required going all the way back to 1993. However, commercial requirements differ from residential and have been changing at a slower pace so here is some information that may clear up some confusion. In August of 2012 federal law went in to effect requiring that all newly manufactured commercial door openers meet the UL325 safety code in one of two ways. 1) Close button must be set to require “constant contact” on close. What that means is the user is then forced to be standing at the opening the entire time the door is closing so should an obstruction occur they can release the close button and door will return to full open position. 2) If momentary contact is desired a monitored safety must be present. This would require either a photo eye mounted 6” above the floor or an electric safety edge. Other safety products are available and often chosen to supplement the mandated safety. This law is “Grandfathered” in so you can still have pre 2012 openers that do not meet this code serviced. We suggest that you check the safety on your garage door openers at least once a year. Feel free to call us for further information on garage door safety. We can answer your questions and if you would like we will arrange to come out and give a free inspection of your doors and openers. Are you looking for ventilation and pest control while maintaining security in your warehouse? Or, are you looking for additional bug free out-door living space without the expense of an addition to your home? Then, we have the answer for you. Here at TCGD/GDS, we offer three different screen door options to meet your needs. For your commercial warehouse, THE BUG BLOCKER overhead screen door system is usually your best option. This system is a self balancing, solid framed screen door that works in conjunction with your existing dock doors. 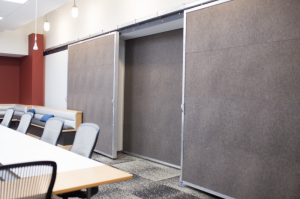 This screen door will provide additional ventilation to your warehouse while keeping flying insects and casual foot traffic from entering your business. For your residence, we offer two screen door options to turn your garage or covered patio into a screen porch. The LIFESTYLE screen works independent of your existing over head door but is lightweight and easy to operate. You can turn your garage into a comfortable, pest free screen porch/living area or back into a functioning garage in just seconds. The other option is the FLY AWAY fully automated, motorized retractable screen. This system is more streamlined or elegant and less obtrusive. It can be designed to blend in with the existing structure so you may not even know it is there. Your fire door needs an annual exam, too! So many wonderful occasions happen just once a year: taxes, your annual physical, buying new tabs for your vehicles. Some of you might procrastinate, waiting until 11:59pm on April 15th. There are some annual events you just can’t delay, as not meeting your safety requirements can be costly – either in dollars or even with your workforce. 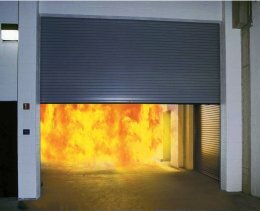 Each year, one of the many items an industrial or commercial company needs to have examined is their fire doors. Since 2007, it was mandated that fire doors be inspected annually by a certified party. Think this is something you can delay? There are plenty of cases where companies are fined for safety violations, including fire doors not being properly used. In fact, in 2010 OSHA proposed over $137,000 in fines to a company for fire, mechanical, and electrical hazards. OSHA found that “fire extinguishers were not checked and tested; fire doors were not kept in proper working order at all times…” among other violations. Fire safety, including the integrity and reliability of fire doors is taken very seriously by many organizations. Twin City Garage Door takes this just as seriously. Fire Doors are often overlooked when it comes to inspection and service. This is because they are usually installed to be hidden from public view due to aesthetic reasons. It is not uncommon to be unaware your facility even has this type of door. NFPA80 requires that these doors be tested by a certified technician annually. Twin City Garage Door can do a no charge inspection of your facility and document fire door locations. 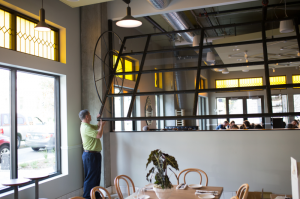 This will help in planning your building preventative maintenance schedule. Contact the team at TCGD today to learn more about our fire door testing program and let us alleviate one more thing off your annual to-do list. Your garage door can have some personality…yes, your garage door! If the phrase “time to replace the garage door” makes your brain hurt, the team at Twin City Garage Door will break down what you should care about and take some of the pain out of the selection process. A residential garage door is usually an extremely visible part of your home and the right door can add personality and curb appeal. You don’t have to have the same old garage door, as there are many options and styles to choose from. Repairing your current garage door. Many times you can get panels replaced, instead of replacing the entire door. What you need your garage door opener to do. There are some innovative openers out there with different options for horsepower, drive systems, different safety features and even security systems. If you’re able to make a bit more of an investment in your garage door, it gives you some more options. You could evaluate if a wood residential garage door or custom designed door would complement your home better than a steel door. Wood garage doors can be painted any color, are very durable and are fairly low maintenance. Regardless of your choice between steel, wood, or custom wood garage door you’ll also want to think about adding windows to the garage door. Windows can make the garage door look even more attractive and add more distinguishing factors to your house. Also, pay close attention to the quality of the hardware, springs and the overall warranties on all components of the garage door. Outside of your budget, another aspect to consider when selecting a residential garage door is: What are you going to be using the garage for? If you’re using the garage for extra workspace or additional living space (like a mud room), you will want to look at the insulation of the garage door. In those cases, you’ll want to opt into a door with a least an R-Value of 3 (for moderate climates). If you live in Minnesota or Wisconsin – where we pride ourselves with harsh winters – go up to an R-value of 10. You can also have a retractable screen installed if you spend a lot of time outdoors, but want to be able to escape those pesky mosquitos at night. Lastly, there are details to examine when finalizing your decision on a garage door. These details include panels you might want on the garage door, and of course, the garage door opener. Your garage door will be part of your home for a long time – it worth taking the time to entertain all the options. It’s also worth partnering with a company like Twin City Garage Door. We have a full service team ready to look at these options with you, and give you the confidence in your decision. What’s the big deal with garage door safety, anyway? At Twin City Garage Door, safety is of paramount importance. This includes the safety of the product we install and work on, as well as the safety of our crews out on the job sites and in our warehouses. When our team is working on a project, whether it’s a repair or a new installation, our technicians always check both the garage door and the opener before they leave. What are they looking for? The opener should reverse the garage door when the photo beam is broken. The garage door should also reverse when contact is made 6” from the floor. The garage door push button mounted on the wall should be at least 5 feet from the ground to prevent children from playing with the door. All garage door operators must provide a reversing system to reverse a downward moving door within two seconds after the door contacts a two-inch high test block placed on the floor in the door’s path. All garage door operators must re-open the door within 30 seconds of the start of movement in the downward direction if the mechanism senses that the door did not fully close to the garage floor. Once the door is moving down, the door must stop, and may reverse, if the control button is pushed again. If the door is moving up, pushing the control button must stop the door and prevent it from moving downward. All garage door operators must have a manually operated means to detach the operator from the door. What does this mean? It means there are definite safety concerns if you have a garage door manufactured before 1991. Our technicians can assess your garage door and review any safety concerns with you. Replace older automatic garage door openers that meet federal safety standard. This could prevent entrapment or even death. Test the garage door opener’s reverse function. If this does not behave as expected, do not attempt to fix yourself. Call a professional. Inspect the garage door and the opener every month to make sure they are both working properly. Check the springs, hard, and fittings. Again, if something doesn’t seem right, be sure to call a professional – it’s not worth the risk. If Twin City Garage Door installs your new garage door, there is also a 5 year warranty on the springs and hardware. Keep the remote away from children. Just as the button on the wall needs to be installed high enough to keep away from children, so should the remote. Talk to your kids about garage door safety and explain that these are not toys. All of this can keep you and your family safe. If you ever have questions or concerns about the safety of your garage door, don’t hesitate and give the team at Twin City Garage Door a call!